The world’s second-largest oil consumer and producer are tightening their embrace as CEFC China buys a $9.1 bln stake in Rosneft. A controversial debt deal with Intesa can be unwound and sellers Glencore and Qatar hang on to some upside. It’s a better arrangement all around. 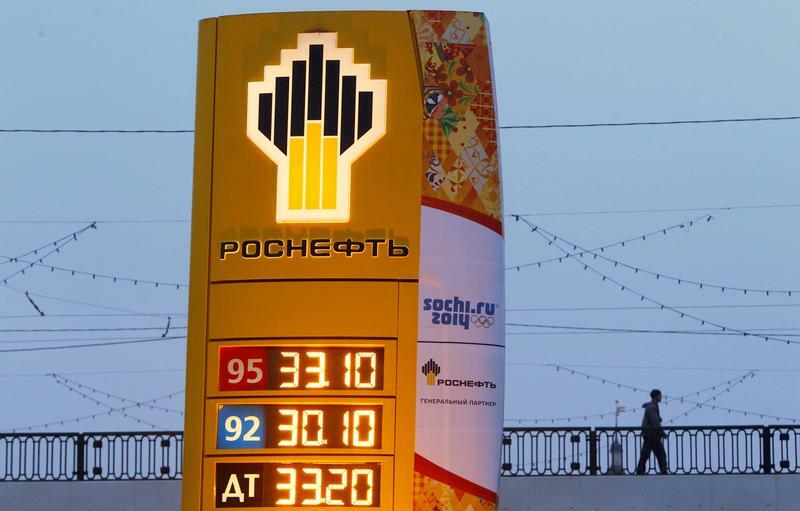 The company logo of Rosneft is seen outside a service station in Moscow, Russia, November 12, 2013. Chinese conglomerate CEFC China Energy said on Sept. 8 it agreed to buy a 14.2 percent stake in Russian oil major Rosneft for $9.1 billion from commodity trader Glencore and the Qatar Investment Authority. Glencore and the QIA will retain stakes of 0.5 percent and 4.7 percent, respectively. They bought a 19.5 percent stake in Rosneft in December 2016, financing much of the 10.2 billion-euro purchase with debt, including a 5.2 billion-euro loan from Italian bank Intesa Sanpaolo. The sale to CEFC covers the shares that were pledged as collateral for those loans, Rosneft Chief Executive Igor Sechin told TV network Rossiya 24. Intesa said its loan would be fully repaid with proceeds from the sale.